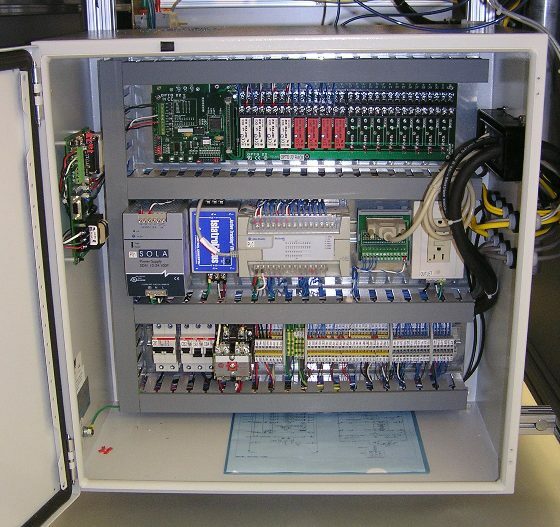 Custom designed test station for testing hybrid technology ECMs. Integrated PLC-based automation and control to allow highly safe hands-free operation. Safety interlocks and controls to protect from high-voltage and high-power product technologies being utilized.